The MikroTik Wireless Wire Dish (outdoor / indoor use) - RBLHGG-60ad kit is a ground breaking 60GHz solution which offers Fibre speeds, low latency and robust quality on distances up to 1500m at an incredibly low price point. The Wireless Wire Dish kit makes a secure AES encrypted, 60 GHz wireless link that is not affected by the crowded WiFi spectrum. Offering a stable and fast link for distances of 1500 meters or more (with straight line of sight). 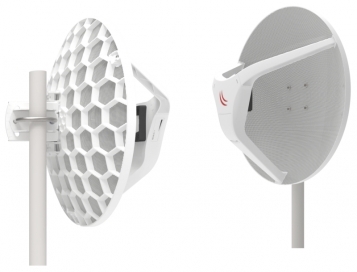 Simply align the two included LHG60 devices towards one another and power them on, they are pre-configured, ready to go straight from the box and will connect automatically, making a 1Gb/s Full Duplex link. 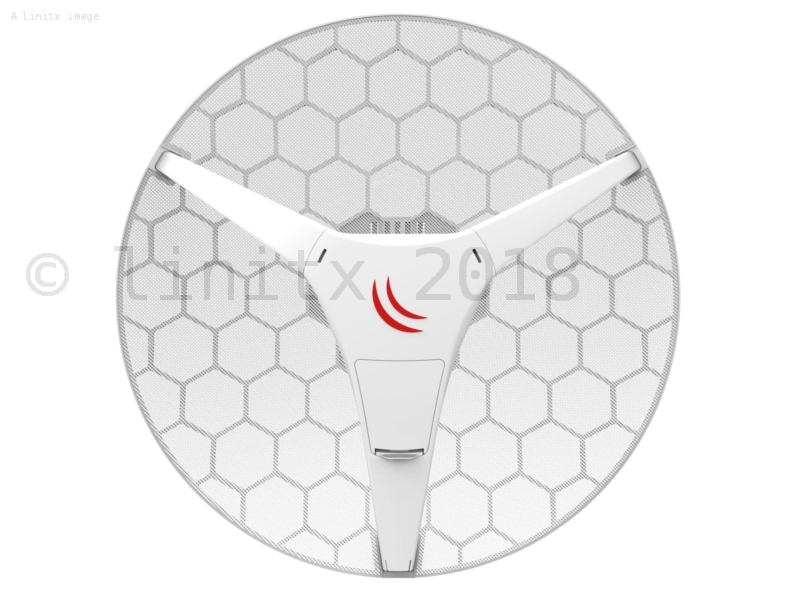 The Wireless Wire Dish is suitable for outdoor use and is capable of transmitting at the 60GHz frequency to a distances up to 1500m - all 60GHz signals require a clear line of site. The box includes two pre-paired LHGG-60ad units, power supplies, PoE injectors and mounting kits for both devices. 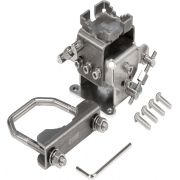 We recommend the use of the optional SOLIDmount when aligning long distance links.